Whaa? Hmph? Oh, sorry. Just recovering from that bachelor party. All I can say — and all I should say — is that a party must be going well if it runs ten-and-a-half hours, until 4:30 a.m., and some remaining participants are sorry to see it end “early.” And I’ll add this: surprisingly, as everyone agreed, going from beer to whiskey to vodka to tequila does not necessarily lead to a hangover. Who knew? The big takeaway: my endless gratitude, again, for good friends. Yesterday (what commenced of it after 11:30 a.m.) the bachelor and I went out to “breakfast,” then I uncharacteristically but understandably lazed around for a while. (Hours.) Then my wife and I and another couple went to see the Pasadena Pops perform a night of Sinatra music at the LA County Arboretum. Every time I hear Sinatra (or a Sinatra tribute), I’m reminded of the time my father went out and bought a cassette tape of Sinatra’s greatest hits and gave it to me to see if he could win me over. In retrospect, I regret how churlish and dismissive I was — the old guy was making a real effort, an effort I now understand all too well as I try to educate two of my own offspring on the endless joy supplied by America’s premier musical act, Pere Ubu. Today at the gym, whatever channel is playing on the elliptical took a break from “My 600 Pound Life,” which I and everyone else at the gym find extremely motivational. Instead, it was a special episode of “Intervention,” featuring 48-year-old Tammi, who drinks three pints of vodka a day and whose five sisters won’t talk to her, and who, with the complicity of a boyfriend who is equally disgusted with her, sponges off the pension of the boyfriend’s elderly mother, who owns the house and lives with them. I didn’t care much about Tammi, or the fact that her daughter wouldn’t stop by on her way to the prom so that Tammi could see her in her prom dress (no, her kids, who live with their father, don’t really talk to her either), and I have zero sympathy for the grown man subjecting his elderly mother to life with Tammi and the distress and disorder she creates around her, but I sure feel sorry for the old lady. Which made me grateful again for my sister and brother-in-law, and the rest of our family who take such excellent care of my 90-year-old mother in southern New Jersey. After the gym, I went grocery shopping, trying to make sense of the various implorations being texted to me by my wife and two teens, for special kinds of cereal, or certain laundry scents, or fried chicken, or whatever. My daughter wanted “dumplings,” but then said they aren’t “dumplings,” they’re more like gyoza, but then added that they aren’t, and they might be called “pot stickers,” by which time I was sure I had no idea what she was talking about, and then she said they were in “the freezer section” (never mind that there are three “freezer sections” at our local Ralphs), and then clarified that these dumpling/gyoza/pot stickers are in the freezer section near “the snacks,” which clarified nothing because I couldn’t find frozen snacks and don’t believe they exist, unless pizza is a snack. Finally I found competing bags of heavily processed-seeming Asian-copying (i.e., in no way actually Asian) edible things that, incredibly, had a litany of descriptors on each bag that completely matched with dumpling/gyoza/pot stickers. It seems that even the manufacturers of this “food” can’t decide what it is! I bought both bags of stuff, because even though they were similarly described, they looked completely different, and I didn’t want to get this wrong for my daughter. Want to know why? Because she’s made sure I could see her in every one of her prom dresses, that’s why. When I got home, I found she’d made a stir fry for dinner (thanks!). Then we settled down for a nice hour of father-daughter time, watching people get terribly mistreated in prison in “The Night Of” on HBO. If only next weekend holds such charms. Why do I love the music I love? Tonight at 7 p.m. in Santa Monica, I’ll be one of the five storytellers addressing this question. (Most specifically in my case the music of Pere Ubu.) It’s my second appearance in a program of live storytelling called Shine. Here are the details, if you’d like to come join us. Precisely right. It’s missionary work. A tip of the hat to whoever is the music supervisor for “American Horror Story.” The episode tonight, and next week as well, will feature the Pere Ubu song “Road to Utah.” That shows good taste! 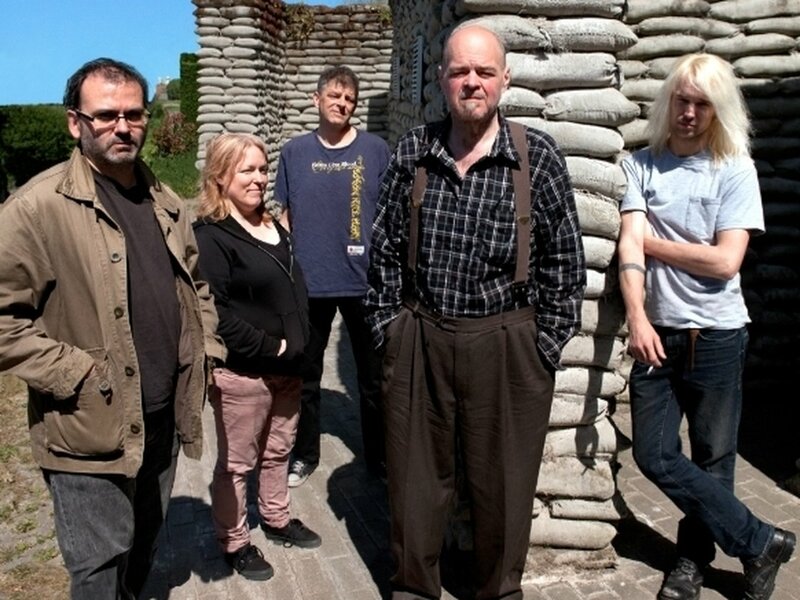 Pere Ubu’s latest CD, “Carnival of Souls,” hit stores today. I had to have it instantly, and now I do. I’m playing it over and over and over while writing. Whatever impact the video below (of “Golden Surf II,” the first track on the album) might make on you, I can tell you that it makes me incredibly happy. Almost thirty years after discovering this band, the thrill is still very much with me. Pere Ubu is playing here in Los Angeles on December 17th. I’ll be there, and I hope you will be too. Here’s the link for information and tickets. Sometimes we are lucky enough in life to find an art product that truly suits us. We’re not always clear why it is that it suits us, it just does, and we are sometimes bewildered why it doesn’t suit more people because that thing is so palpably astonishing to us. 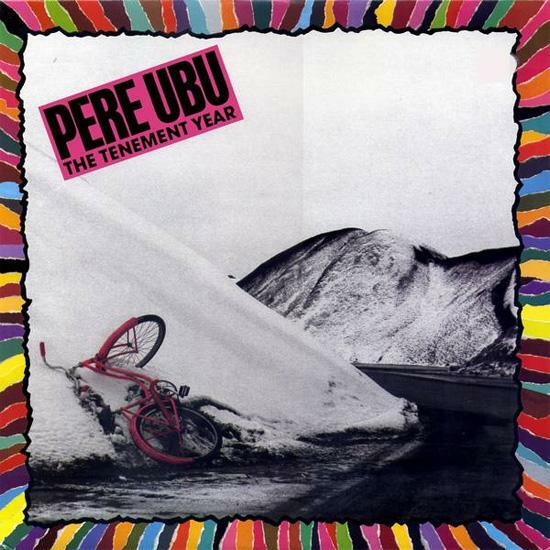 I’m passionate enough, and naive enough, about Pere Ubu and what I believe to be their extraordinary catalog that I can’t help but feel it impossible to understand why more people haven’t embraced it. In their 35-year career, they’ve proved that they can do, well, almost anything: they are post-punk pioneers who have also produced sophisticated but appealing pop albums, explored the blues, embraced their own form of Captain Beefheart-infused jazz, and experimented at every turn with introducing new sounds and new ideas into what in different hands would be a hidebound endeavor of album-tour-album-tour-album-tour, liberally laced with old ideas executed in old ways. (For one example of that approach, consult any of those 90’s hair bands. Or Rod Stewart.) I can only assume that it’s their very experimentation and the shock of their difference that has kept them on the commercial margins. Because they are not singleminded or simpleminded in their tastes and explorations, few have followed. That is a shame. 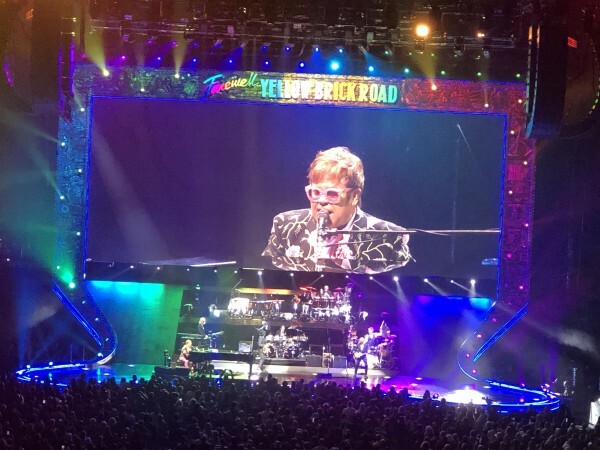 It is also a shame, to me, that the ticket prices for the concert above are only $13 – $15. That’s right — for one of America’s most important bands, the band that forms the bridge between the gleaming Brian Wilson / Van Dyke Parks partnership and everything alternative that’s interesting since then — the ticket price is the cost of the latest incoherent blockbuster spectacular at your local megaplex. The ticket price for acts no one wants to see starts at 20 bucks — but Pere Ubu (!) is 35% off that. I don’t know how that price got set, but I’m concerned that it’s low enough to be more insulting than attracting. I can only hope that whoever reads this buys a ticket and shows up. In the meantime, those relative few of us who savor Pere Ubu will be there. Well, to me anyway, that album would be “The Tenement Year” by Pere Ubu. I was listening to this disc yesterday yet again and marveling over how beautifully it comes together, the squeaks and squonks of this offbeat band coalescing into an propulsive pop masterpiece that pulls into close rivalry with the best of Brian Wilson and Van Dyke Parks as idiosyncratic wordplay crashes against thunderous guitar and drums and musical textures that absolutely thrill and soar. Then I happily found this encomium from a kindred spirit, celebrating the album’s 25th anniversary. Had it been 25 years? Yes, it had. I highly recommend you read that remembrance, above, and then watch this video. If this doesn’t fill you with joy and wonder, we’re not on the same wavelength. Listen to those twin drum sets consorting and jousting with each other, to the tasty guitar fills, to the unexpected synthesizer sine waves that somehow buoy the oddball poetry of the words. It’s all deeply, deeply satisfying. And, as one friend said after I emailed him the link yesterday, “Good video, good song, and great dance moves.” Yes! Today was the birthday of the nation, which 235 years after its founding still feels rather new, and the final day for legendary Cleveland rock critic Jane Scott, who died this morning at age 92. Her importance as a major cultural voice cannot be overstated. She created careers, promoting Bruce Springsteen and other luminaries long before more mainstream news organs discovered them. And if you love the Ohio music scene the way some of us do, you owe a debt of gratitude to Jane Scott for spreading the word. Without her, would the rest of us have learned of The Dead Boys, Devo, and Pere Ubu? Perhaps not. If you watch any of the several good documentaries about Cleveland rock, she’s mentioned or featured in all of them. She was an inveterate champion of the new and the different, and that’s what all of the good music of the mid-70’s and 80’s was. And, if you let it, it’ll keep you going for a long time. You are currently browsing the archives for the Pere Ubu category.